Pervez Musharraf Trial: A Gimmick Masked in Legalese? The trial of the former president and Army chief is unlikely to be the turning point many Pakistanis seek. of Pakistani politics, it’s that everything centers around some form of agreement reached only after a bout of negotiations. After former President Pervez Musharraf’s recent indictment over multiple charges were read, many political analysts in Pakistan reached the obvious conclusion, namely that of a negotiated settlement in which Musharraf, who was previously Chief of Army Staff, finds safe passage in a Gulf state. Their response was appropriate. Musharraf's indictment on the spectrum of punishment will on the lower baseline be an ineffective wrist slap to the Army, and on the higher end, knock the Army a peg or two from its high perch. But the conclusion of his trial will not go nearly as far as Pakistanis hope. First, there is no precedent in Pakistan’s history to suggest that a military chief will be tried under the rule of law and subsequently charged as his conduct would merit. 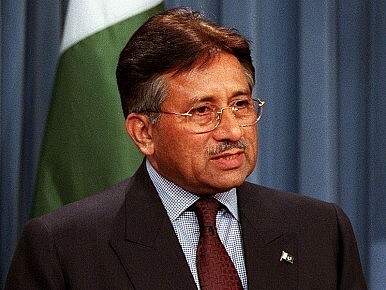 For example, the Supreme Court of Pakistan recently ruled that General Mirza Aslam Beg, another former Chief of Army Staff, consorted with elements of the Inter­Services Intelligence in funneling money during the 1990 election season to opposition parties, in the hope of thwarting the advance of the liberal Pakistan People’s Party. Even after the Supreme Court recognized this blatant disruption of the democratic process, the case ended with pin drop silences across the judiciary. Second, it would not be unlike the Army to protest the trial of a former four-star general as an affront to the reputation of arguably the most stable institution in Pakistan. While the current Chief of Army Staff General Ashfaq Kayani said in 2008 that the Army would refrain from meddling in civilian matters, the Army’s history of interventions into civilian affairs makes that promise hard to believe. Add to that the fact that the chief prosecutor working on Musharraf’s case was assassinated earlier this summer, and there is evidence to suggest that elements within the establishment are actively working in Musharraf’s favor. Given that Kayani’s term as COAS is coming to a close, it should give observers all the more reason to believe that a sensitive transition—one free from the events that may be sparks of further instability—is underway. Lastly, there is little evidence to implicate Pervez Musharraf in the murder of Benazir Bhutto. In a scathing 5,000 word essay in Foreign Affairs, “Getting Away with Murder,” the United Nation’s special investigator into Bhutto’s assassination, Heraldo Munoz, concluded that while there is every reason to believe that evidence in the Bhutto assassination was tampered with, the prosecutors lack sufficient evidence to “constitute proof of culpability.” Moreover, an argument on the basis of Musharraf’s failure to provide Bhutto with the necessary security—and that too, on the testimony of a U.S.­based lobbyist, Mark Siegel—does not hold the juridical standard of proof that would be admissible in the highest court of the land. Musharraf’s trial will not mark the watershed moment that many in Pakistan are hoping for. Hands will be greased, and envelopes will be pushed. Ultimately, the process will be a gimmick masked in legalese. In the end, Pakistan will muddle along, just as it has for the five years since Musharraf’s near-decade of iron­fisted rule came to an end. Hamza Mannan is a freelance writer. His work has appeared in The Express Tribune, Asia Times Online, and The International News. Nawaz Sharif’s government will pursue a treason prosecution against Musharraf. 10 Years After Benazir Bhutto's Death, What Lies Ahead for the Pakistan People's Party?Rethinking Strategic Abandonment: Does the US Need to Redefine Its Partnership With Pakistan?Can the Pakistan People’s Party Restore Itself to Its Past Glory?The Uri Attack and the Civil-Military Divide in Pakistan’s Kashmir PolicyWho Leads Coups in Pakistan: The Military or the Establishment?